In the town of Agawam and the areas that surround it in Massachusetts and Connecticut, people still talk quietly about the brutal killing of Lisa Ziegert. She was a well liked teacher’s aide that worked in the town’s middle school with special need children. She also had a part time job at the Brittany’s Card and Gift Shoppe in town. April 15, 1992, was the last time anyone saw the popular 24 year old. The next day, the owner of the gift shop noticed that the door to the store was unlocked. Lisa, was nowhere to be found. 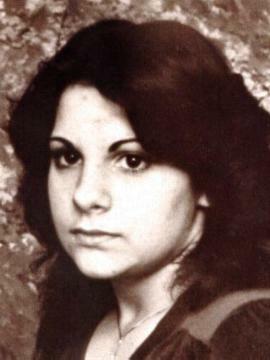 Sadly, four days later on Easter Sunday, April 19, 1992, She was found deceased by a man walking his dog. She had been stabbed and sexually assaulted and was partially clothed. Her body was found in an area hundred of feet deep in the woods that was off of a dirt road that connected to Route 75 in town. Law Enforcement believe that she was abducted from the store between the times of 8:20 and 9:10 pm. At one time a $100,000 reward was offered by the state of Massachusetts for anyone with information that would lead them to the conviction of any individual(s) responsible for Ziegert’s death. Many people have speculated as to who may have killed Lisa Ziegert. There are postings on the internet that allege that a possible killer may be protected by certain people. Some believe she may have known her killer. There are others that say that it may have been a former Massachusetts resident awaiting trial for a brutal murder in Florida. If you have any information about this case please call the Massachusetts State Police at 413-747-4809.